In my last post I wrote an epic review of two books that delved into the nature of intelligence and the limits of computation: Gödel, Escher, Bach and The Annotated Turing. Both books sparked all kinds of new ideas about artificial intelligence (AI), especially GEB. I tried to stick to the material in the books for the review, but now it's time to dig in and explore some of the ideas those books spawned in my mind about AI. These ideas boil down to three main questions that define the scope of issues surrounding AI. What could happen if we create AGI? These are big, complex questions that plenty of smart people are trying to answer for various applications. The specific reference to artificial general intelligence is there to distinguish it from the numerous examples of artificial narrow intelligence that we already have, such as chess programs, simulations, equation solvers, and search algorithms that do things better than us humans, but only in a narrowly defined task. AGI is a type of intelligence that we have not yet achieved with computers as of yet. The implications of these questions are fascinating. The answers to the first question will define how we would recognize intelligence and what we're aiming for with AGI. The answer to the second question is almost certainly yes, but much more is behind it than a simple yes/no answer. The emergence of an AGI that meets the answers to the first question would show the positive result of the second question. The answer to the third question is extremely hard to foresee, and the possibilities get extremely gnarly when coupled with the property of exponential growth. The actual result will most likely determine our future as a species. Heavy thoughts. We'll dig into the first question in this post and cover the other two in subsequent posts. Quite a while ago, I made a list of the best Steve Yegge posts, and one of those posts was his Ten Challenges post on ten recommended books that required thought and dedication to get everything out of them. 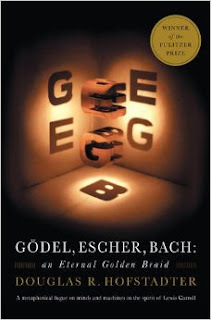 One of those books was Gödel, Escher, Bach (henceforth referred to as GEB) by Douglas Hofstadter. It wouldn't be the last time Yegge talked about GEB, and it seems that this book had a big influence on his thinking. He certainly gave it glowing praise, and that convinced me to give it a go myself. It is not a book to be read lightly, so I finally made some time to read it and give it my full attention. I was not disappointed. I tried to pair GEB with a book that attempted to tackle similar topics. You may think that would mean some other book that addresses the nature of intelligence, but I went for a different angle. A significant amount of GEB deals with Gödel's Incompleteness Theorem, and that theorem is closely related to the Church-Turing thesis on computability. 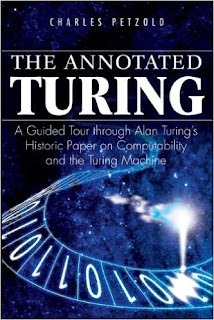 I'm not sure where I heard about The Annotated Turing by Charles Petzold, but I thought it would be a good match for GEB. It turns out that Alan Turing's paper also has much to do with intelligence, both human and artificial, and both books stirred up all kinds of thoughts about the limits and extent of what intelligence is. With that, let's dig in to two incredibly ambitious books.